Back the winning horse with Bookie of Odds, the wonderful slot game from Microgaming. 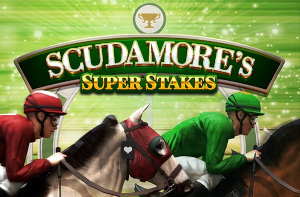 Fans of horse racing will love this thoroughbred-themed slot game, with its 5 reel 10 payline set up. It’s essentially a Book of Oz clone so if you love that game, you’ll enjoy this too. 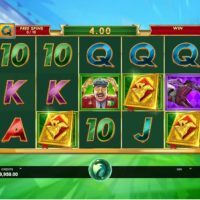 Bookie of Odds is a great mix of classic 5×3 slots and horse racing and while it’s not a unique concept, this is arguably the best example of it! 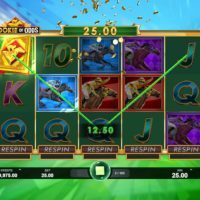 Between all the brilliant colours and smooth reel movements, Bookie of Odds is a fantastic slot game. 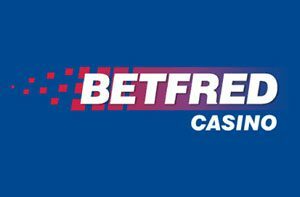 Bet anywhere from 0.01 to 25 per spin. 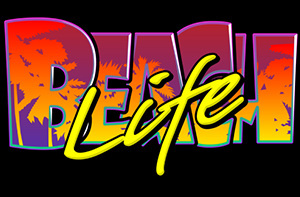 There’s also an autoplay function giving you up to 100 automatic spins. You also get a Respin function, allowing you to respin any reel as much as you want to get a winning combo. Each respin comes at a particular price marked on each reel. The bookie symbol is your key to the big win– 5 of those on a payline will give you 500 times your total stake. That’s up to 12,500 coins! 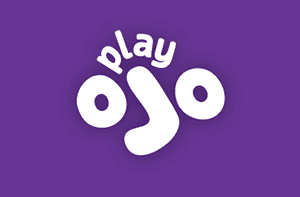 3 or more also triggers the Free Spins feature with 10, 12 or 25 free spins respectively. You can also retrigger Free Spins feature while still playing it. That means you could get unlimited free spins if you were really lucky! During the round, one symbol (excluding the wild) is chosen at random to expand over the whole reel. The more reels it expands over, the bigger the win. The house edge is a respectable 3.5% which sounds tote-ally fine to me. 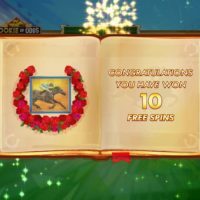 Bookie of Odds is a neat concept that marries up two of the best sections of online casinos – slots and horse racing. 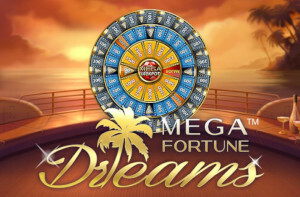 The Free Spins feature is brilliant in its potential to land unlimited free spins. The Wild also being a Scatter and giving you more than just a Free Spin trigger is also enticing. Fans of Book of Dead and Book of Oz (which you can play at Casino Joy) will be all too familiar with this game and if you like those, you’ll like this too. But if not, you might find Bookie of Odds boring and unimaginative. That said, the Respin feature is an empowering idea, allowing you to have an element of control over how you get your wins. Bookie of Odds is definitely for all-weather slot fans.